Canadian Dollar tumbles notably after poor results of BoC’s Business Outlook Survey. 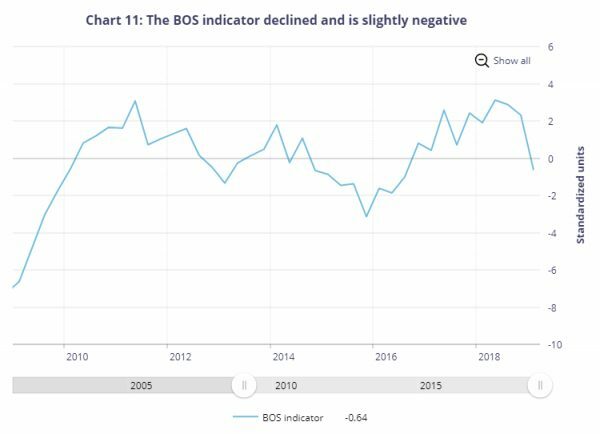 Business Outlook Survey indicator dropped from 2.31 in Q4 to -0.64 in Q1. 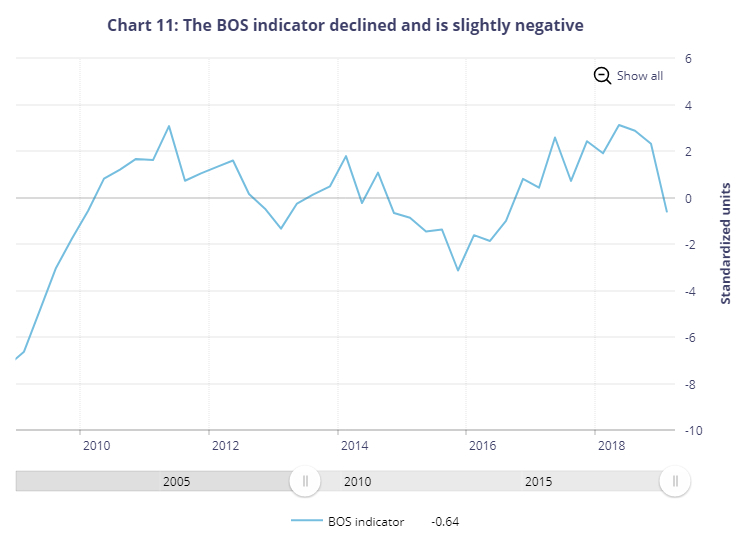 It suggested “a softening in business sentiment.”Also, responses to several BOS survey questions moved below their historical averages. BoC also warned that global trade headwinds and geopolitical tensions are affecting firms’ operations. Several respondents cited negative impacts on their outlooks from US policy changes and related uncertainty. Some firms reported impediments to their export sales resulting from US protectionism. Other respondents reported that US tax cuts and regulatory differences reduce their competitiveness vis-à-vis US firms. Several firms noted cost increases due either directly or indirectly to tariffs, notably those on steel and aluminum as well as those associated with Canadian countermeasures. Some firms noted that the US–China trade dispute weighs indirectly on their business. Overall, respondents citing negative impacts generally have weaker foreign sales expectations, investment intentions and hiring plans than unaffected businesses.